NYCID is having a Block Party on June 2nd. Michael DeVito, Ivy Bilotti and Dominick Brancato have agreed to be dunked for Charity. Help Us Dunk Them all. 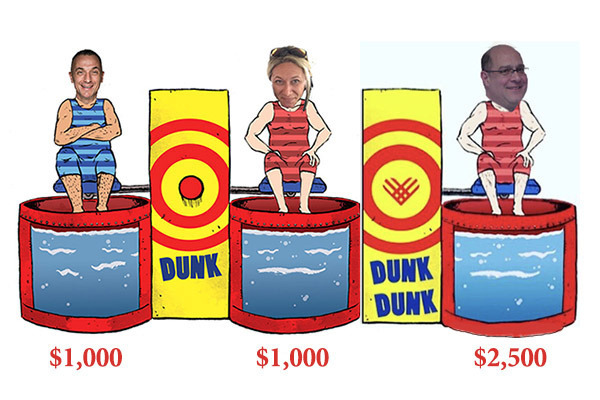 For $4,500 dollars we can dunk all three staff members, and do some wonderful things for the community. PLEASE DONATE and Help NYCID reach their goal. Come to our Block Party on June 2nd, and participate in the fun. Watch the Dunking and all of the events. Please request the person you would like to see dunked when you donate. That money will go towards dunking that person.